How Far is Shastri Enclave? 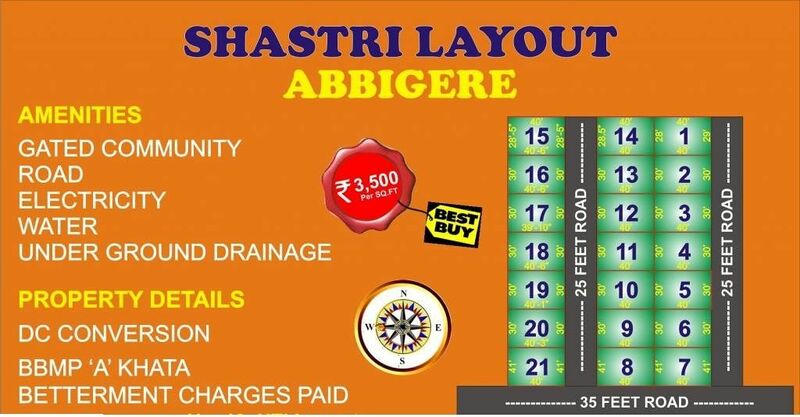 Shastri enclave Layout is Located at Kemple Gowda Circle,2 Main Road. The Layout is surrounded by Schools,Colleges and Shopping Area. Good water facility is there in Layout. Established by Mr. H.M. KanthaRaj in 2008, Promax proerties is one of Bangalore’s leading Real Estate Promoters, Promotes world class Residential properties Apartments, Independent Houses, Villas, Layouts , Plots and Lands. In just 5 years, the company has delivered over 1,000 homes, over 5,000 satisfied Residents. Promax properties has given the industry a fresh perspective. The essence of this new approach is captured by our philosophy 'Being the Change'. Being the Change reflects our commitment to sustainable development and to transforming the way Indian real estate industry functions. The Company believes that for the overall well-being of the society, a comprehensive and sustainable development of rural India is a must. Promax properties is an organisation where quality meets excellence, technology meets aesthetics and passion meets perfection.